that is now more complex and mobile than ever before. The fabric you see above was purchased at the Pisac Market in the Sacred Valley of Peru. Having the opportunity to meet the Quechua woman who personally weaved this table mantel. She was shy but gentile. With her kind ways, she showed me the detail of workmanship each of her pieces held. Some took more work than others. This is one of the more elaborate pieces that she makes that takes two weeks to weave. Natural dyes are used to dye the wool used in this table cloth. A decorative piece that with each stitch, a piece of her life is weaved into the fabric. I hate to say this, but I am more in awe of her craftsmanship than your photos, and your photos are great! I’m with you on this one. And she made it look so easy! 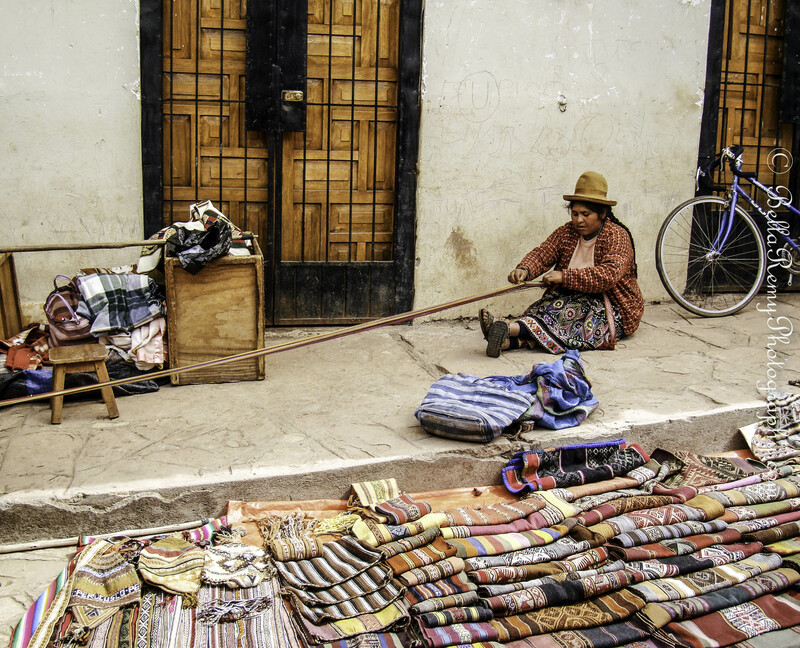 I really like your photo of the Quechua woman weaving her creations. Your photo really shows how it’s not just the craftsmanship that they put into their work, it’s also their souls. Thank you so very much, as well as sharing this with your readers. I truly admire these Quechua women and the artwomanship that they put into these weavings. This photo of a Quechua woman weaving her creations really shows how it’s not just the craftsmanship that they put into their work, it’s also their souls. Thank you so very much Corinne. I am truly inspired by these High Andes women. Exquisite work. Amazing when you see the working conditions. Who would be prepared to work sitting on the floor in the western world? This kind of craft is simply priceless. We’ve got a couple of wall hangings at home that my husband bought during his travels in South America: they are among our most treasured possessions. 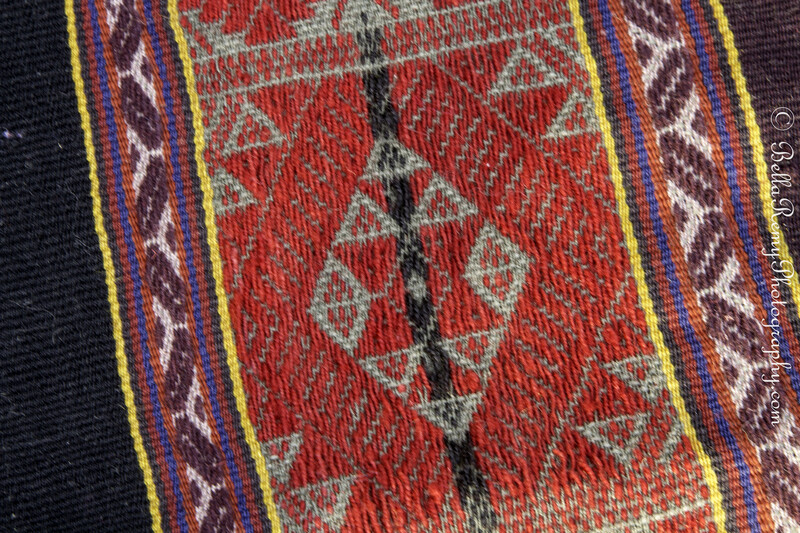 I’m so happy that you also appreciate the beauty in the work from these weavings. It is truly an gift and an art that they are now recognizing is vital to maintain the knowledge. The Quechua women put up with far more than difficult working conditions. Their home life is difficult as well. Thank you so much for commenting Fatima and have a great Sunday! I too was taken by her weaving and sense of color combinations. Very talented. These talented Quechua women are truly special ladies. If we could just have an ounce of their strength and perseverance. She was a very kind and quiet woman, and with permission, she was willing to pose for me when I took her photograph. It is an art in her weaving. Very evocative Emily! I too was blown away by these talented women. I felt most of them had an air of melancholy about them somehow.